Gregor Strasser (also German: Straßer, see ß; 31 May 1892 – 30 June 1934) was an early prominent German Nazi official and politician who was murdered during the Night of the Long Knives in 1934. Born in 1892 in Bavaria, Strasser served in World War I in an artillery regiment, rising to the rank of first lieutenant. He joined the Nazi Party (NSDAP) in 1920 and quickly became an influential and important figure. In 1923, he took part in the abortive Beer Hall Putsch in Munich and was imprisoned, but released early on for political reasons. Strasser joined a revived NSDAP in 1925 and once again established himself as a powerful and dominant member, hugely increasing the party's membership and reputation in northern Germany. Personal and political conflicts with Adolf Hitler led to his death in 1934 during the Night of the Long Knives. Gregor Strasser was born on 31 May 1892 into the family of a Catholic judicial officer who lived in the Upper Bavarian market town of Geisenfeld. He grew up alongside his younger brother Otto, who was considered the more intellectual of the two. He attended the local Gymnasium and after his final examinations, served an apprenticeship as a pharmacist in the Lower Bavarian village of Frontenhausen from 1910 until 1914. When war broke out in Europe in 1914, Strasser suspended his studies at Ludwig Maximilians University of Munich to enlist as a volunteer in the German Imperial Army. He served in the 1st Bavarian Field Artillery Regiment, rising to the rank of Oberleutnant and winning the Iron Cross of both classes for bravery. In 1918, he resumed his studies at Friedrich-Alexander-University, Erlangen-Nuremberg. He passed his state examination in 1919 and in 1920, he started work as a pharmacist in Landshut. In 1919, Strasser and his brother joined the right-wing Freikorps led by Franz Ritter von Epp. The aim of the group was to suppress Communism in Bavaria. He established and commanded the Sturmbataillon Niederbayern ("Storm Battalion Lower Bavaria"), with the young Heinrich Himmler employed as his adjutant. Strasser was well known for his enormous stature, commanding personality, and his boundless organizational energy. By March 1920, Strasser's Freikorps was ready to participate in the failed Kapp Putsch, whereas his brother Otto had turned to the left of the political spectrum and helped combat this right-wing coup d'état. The Strasser brothers advocated an anti-capitalist social revolutionary course for the NSDAP, which at the same time was also strongly antisemitic and anti-communist. By 1920, Strasser, and his paramilitary group had joined forces with Adolf Hitler's Nazi Party (NSDAP), another far-right political party seated in Munich. During the autumn of 1922, Strasser officially became a member of the NSDAP and the SA. Strasser's leadership qualities were soon recognized and he was appointed as regional head of the Sturmabteilung ("Storm Detachment"; SA) in Lower Bavaria. In November 1923, he took an active part in the unsuccessful Beer Hall Putsch, a coup attempt by Hitler and Ludendorff against the Weimar Republic. He was tried with other putschists shortly after Hitler's trial, convicted of aiding and abetting high treason—his actual arrest was for attempting to recruit soldiers for the NSDAP, which had been outlawed—on 12 May and sentenced to 15 months imprisonment and a small fine. After a few weeks Strasser was released because he had been elected a member of the Bavarian Landtag for the NSDAP-associated "Völkischer Block" on 6 April and 4 May (in the Palatinate) 1924, respectively. In December 1924 Strasser won a seat for the "völkisch" National Socialist Freedom Movement in the Reichstag. He represented the constituency Westphalia North. Because Strasser led up to 2,000 men in Landshut and was overworked, he began looking for an assistant. Heinrich Himmler, who obtained the job, was tasked with expanding the organization in Lower Bavaria. After the refoundation of the NSDAP by Adolf Hitler on 26 February 1925, Strasser became the first Gauleiter of Lower Bavaria and Upper Palatinate. After the partition of this Gau, he was Gauleiter of Lower Bavaria from October 1928 until 1929. From September 1926 until the end of December 1927, he was the NSDAP's national leader for propaganda. We National Socialists want the economic revolution involving the nationalization of the economy...We want in place of an exploitative capitalist economic system a real socialism, maintained not by a soulless Jewish-materialist outlook but by the believing, sacrificial, and unselfish old German community sentiment, community purpose and economic feeling. We want the social revolution in order to bring about the national revolution. While the NSDAP only received 2.6 per cent of the national vote in the 1928 General Election, it eventually became the second largest party in the Reichstag, securing 18.3 per cent of the vote by September 1930. Strasser established the NSDAP in northern and western Germany as a strong political association, one which attained a larger membership than Hitler's southern party section. The party's own foreign organization was also formed on Strasser's initiative. Together with his brother Otto, Strasser founded the Berlin Kampf-Verlag ("Combat Publishing") in March 1926, which went on to publish the left-leaning weekly newspaper the Berliner Arbeiterzeitung ("Berlin Workers Newspaper"). Strasser appointed the young university-educated political agitator from the Rhineland, Joseph Goebbels as the managing editor of the Kampfverlag, a man who was drawn to the NSDAP political message and to Strasser himself. The two men drafted a revised version of the NSDAP political program during the winter of 1925–1926, one which leaned much further to the left and unfortunately, incensed Hitler. To deal with these proposed changes head-on, Hitler called for a meeting in the northern Bavarian city of Bamberg. Goebbels and Strasser traveled there hoping to convince Hitler of the new message. During the speech at Bamberg, Hitler lambasted the extreme leftist ideas in the new draft, ideas which he conflated more with Bolshevism, a development which profoundly shocked and disappointed Strasser and Goebbels. Strasser's follow-on speech was bumbled and ineffectual, the result of Hitler's powerful oration; Hitler's refutation of Strasser's policy suggestions at Bamberg demonstrated that the party had officially become Hitler's and the NSDAP centered around him. Placating the northern German NSDAP branches in the wake of Bamberg, Hitler assigned leadership of the SA, which was temporarily vacated by Ernst Roehm, to one of Strasser's own key members, Franz Pfeffer von Salomon. More importantly perhaps, Hitler began a personal campaign to lure away Strasser's chief lieutenant, Goebbels, into his personal fold—a move which proved immediately successful. The future Führer also struck a deal with Strasser to disband the Northern Working Group of the NSDAP and asked him to assume responsibility for the party propaganda department. Strasser accepted this position, but a car accident March 1926 proved a setback: he was bedridden as a result. Upon recovery, he was welcomed back into this position. Between 1928–1930, Hitler turned over the NSDAP's national organisation to Strasser, whose skills were better suited to the task, as Hitler was uninterested in organisational matters and preferred to give his attention to ideological concerns. During the course of the reorganisation, Strasser refashioned the NSDAP district boundaries to more closely align with those of the Reichstag and increased the authority of Gauleiters. Strasser reorganised both the party's regional structure and its vertical management hierarchy. The party became a centralized organization with extensive propaganda mechanisms. The Great Depression greatly affected Germany and by 1930 there was a dramatic increase in unemployment. During this time, the Strasser brothers started publishing a new regional daily newspaper in Berlin, the Nationaler Sozialist. Like their other publications, it conveyed the brothers' own brand of Nazism, including nationalism, anti-capitalism, social reform, and anti-Westernism. Goebbels complained vehemently about the rival Strasser newspapers to Hitler, and admitted that their success was causing his own Berlin newspapers to be "pushed to the wall". In late April 1930, Hitler publicly and firmly announced his opposition to Gregor Strasser's socialist ideas and appointed Goebbels as Reich leader of NSDAP propaganda. When Hitler visited Goebbels' on 2 May 1930, Goebbels banned the evening edition of the Nationaler Sozialist. Gregor Strasser distanced himself from his brother and relinquished his position as publisher of the Nationaler Sozialist by the end of June, while Otto left the Party at the beginning of July. In August 1932, Hitler was offered the job of Vice-Chancellor of Germany by then Chancellor Franz von Papen at the behest of President Paul von Hindenburg, but he refused. Strasser urged him to enter a coalition government, but Hitler saw the offer as placing him in a position of "playing second fiddle". While many in his inner circle, like Goebbels, saw his resistance as heroic, Strasser was frustrated and believed Hitler was wrong to hold out for the Chancellorship. The ideological and personal rivalry with Hitler grew when the successor Chancellor Kurt von Schleicher had discussions with Strasser as to becoming Vice-Chancellor in December 1932. Schleicher hoped to split the NSDAP with Strasser's help, pulling the left wing of the NSDAP to his "national conservative" side to stop Hitler. Hitler was furious and demanded that Strasser refuse Schleicher's offer. At a meeting of Nazi Reichstag members Hitler confronted the 30-40 that supported Strasser, forcing them to publicly support the former and denounce the latter. 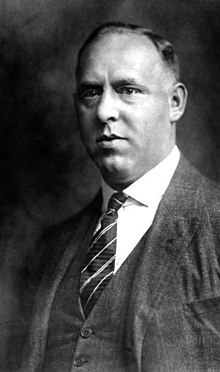 Strasser resigned from his party offices on 8 December 1932, just seven weeks before the NSDAP obtained political legitimacy. On 16 January 1933, Hitler "publicly repudiated Strasser" for his interactions with Schleicher. In March 1933, Strasser officially exited politics by renouncing his Reichstag seat. Having renounced his seat in the Reichstag, Strasser sought to return to his pre-politics profession as a chemist. Through his own connections and with Hitler's consent he was provided with the opportunity to take up a directorship of Schering-Kahlbaum, a chemical-pharmaceutical company that was the Berlin subsidiary of IG Farben, so long as he promised to cease all political activity, which he did. He detached himself from politics, refusing to meet former political associates and, contrary to some reports, had no contact with his brother Otto's Black Front organisation. Having achieved national power in January 1933, Hitler and the NSDAP began eliminating all forms of opposition in Germany. In what became known as the Night of the Long Knives, the entire SA leadership was purged, which took place from 30 June to 2 July 1934. Hitler, along with other top Nazis such as Hermann Göring and Himmler, targeted Ernst Röhm and other SA leaders who, along with a number of Hitler's political adversaries were rounded up, arrested, and shot by members of the Schutzstaffel (SS) and Gestapo. Among them was Strasser. Historian Richard Evans surmises that Strasser was most likely killed for having been allegedly offered a position by the predecessor conservative Weimar government, a tie which made him a potential political enemy, due to the personal enmity of Himmler and Hermann Göring, both of whom Strasser had been critical of during his role in the party's leadership. Whether Strasser was killed on Hitler's personal orders is not known. He was shot once in a main artery from behind in his cell, but did not die immediately. On the orders of SS general Reinhard Heydrich, Strasser was left to bleed to death, which took almost an hour. His brother Otto had emigrated in 1933. ^ a b c Evans 2004, p. 202. ^ a b c d e Wistrich 2013, pp. 246–247. ^ a b Read 2005, p. 117. ^ a b Hamilton 1984, p. 347. ^ Childers 2017, p. 71. ^ a b Childers 2017, p. 72. ^ a b c d Fulbrook 2015, p. 45. ^ Kershaw 2000, p. 270. ^ Stachura 1983, p. 33. ^ Read 2005, p. 118. ^ Stachura 1983, p. 34. ^ Read 2005, p. 119. ^ Rosmus 2015, p. 36fn. ^ Read 2005, pp. 123–124. ^ a b c d e f g Nicholls 2000, p. 253. ^ Stachura 1983, p. 62. ^ a b Childers 2017, p. 82. ^ Read 2005, p. 126. ^ Childers 2017, pp. 82–83. ^ Childers 2017, p. 83. ^ a b c Childers 2017, p. 84. ^ Fulbrook 2015, p. 44. ^ Newton 1992, p. 38. ^ Longerich 2015, pp. 100–101. ^ Childers 2017, pp. 84–85. ^ Childers 2017, pp. 86–87. ^ Childers 2017, p. 87. ^ Evans 2004, p. 206. ^ a b Childers 2017, p. 88. ^ Childers 2017, p. 89. ^ a b Childers 2017, p. 110. ^ Stachura 1983, pp. 64–65. ^ Longerich 2015, pp. 125, 126, 127. ^ Kershaw 2008, p. 200. ^ Longerich 2015, pp. 125, 126. ^ Longerich 2015, pp. 128, 129. ^ Kershaw 2008, pp. 233, 234. ^ a b Gunther, John (1940). Inside Europe. New York: Harper & Brothers. pp. 14, 38–39. ^ Kershaw 2008, pp. 244, 245. ^ Kershaw 2008, p. 245. ^ Overy 2010, p. 59. ^ a b Stachura 1983, p. 121. ^ a b Stachura 1983, p. 123. ^ Evans 2005, pp. 31–41. ^ Evans 2005, pp. 34–35. ^ Read 2005, p. 372. ^ Nicholls 2000, pp. 253–254. ^ Longerich 2015, p. 130. Evans, Richard (2004). The Coming of the Third Reich. New York: Penguin Publishing. ISBN 978-1594200045. Evans, Richard (2005). The Third Reich in Power. New York: Penguin Publishing. ISBN 978-0-14303-790-3. Fulbrook, Mary (2015). A History of Germany 1918–2014: The Divided Nation (4th ed.). Chichester: John Wiley & Sons. ISBN 978-1-11877-614-8. Kershaw, Ian (2000). Hitler: 1889–1936 Hubris. W. W. Norton & Company. ISBN 978-0393320350. Longerich, Peter (2015). Goebbels: A Biography. Random House. ISBN 978-1400067510. Newton, Ronald (1992). The "Nazi Menace" in Argentina, 1931–1947. Stanford University Press. ISBN 978-0804719292. Nicholls, David (2000). Adolf Hitler: A Biographical Companion. ABC-CLIO. ISBN 978-0874369656. Overy, Richard (2010). The Third Reich: A Chronicle. New York: Quercus Publishing Inc. ISBN 978-1-62365-456-6. Read, Anthony (2005). The Devil's Disciples: Hitler's Inner Circle. New York: Norton. ISBN 978-039332-697-0. Rosmus, Anna (2015). Hitlers Nibelungen (in German). Grafenau: Samples Verlag. ISBN 978-3-93840-132-3. Stachura, Peter D. (1983). Gregor Strasser and the Rise of Nazism. London: George Allen & Unwin. ISBN 978-0-04943-027-3. Wistrich, Robert (2013). Who's Who in Nazi Germany. Routledge Publishing. ISBN 978-1136413810.